#WasteFreeRamadan: A message, a mission. Water is perhaps the most precious natural resource that God has blessed us with. And unfortunately, one which we take for granted all year round. Except perhaps in Ramadan. That glass of sparkling transparent liquid is what we look forward to the most as the time to break our fast draws nearer. Especially this year since the fast is eighteen hours long and the blessed month of Ramadan falls in the hottest time of the year. But there is one sparkle which hurts the eyes; that coming from tower upon tower of disposable bottles. They fill the masjids, the Islamic centres and even our homes. And one is left wondering if we have forgotten these ayahs from the Holy Qur’an. But one man it seems has not forgotten them. Mr. Tariq Syed and the team at TorontoMuslims took a bold and innovative step to curb this needless wastage. 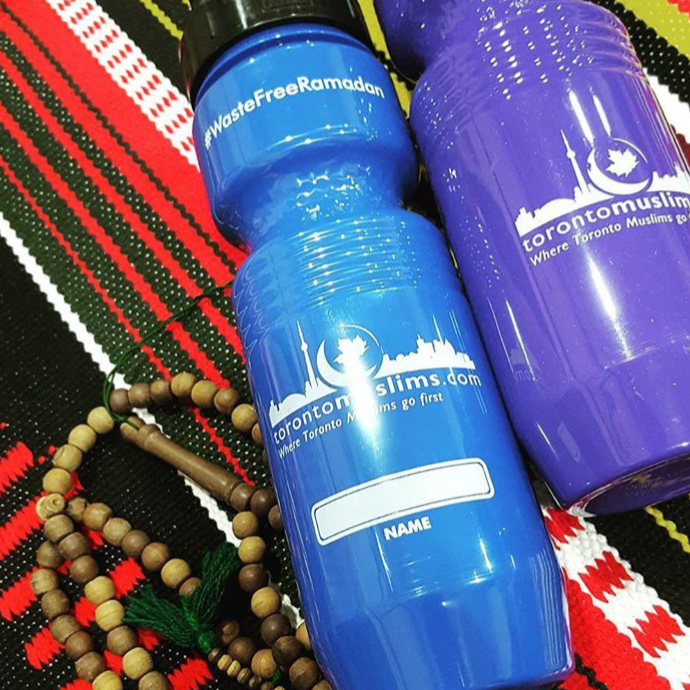 They distributed 10,000 colourful reusable bottles in masjids and Islamic centres all over the Greater Toronto Area. Not only has this campaign succeeded in reducing waste this Ramadan but has also gotten the Muslim Community in general more interested in a greener lifestyle. I have seen children getting excited about these eye-catching rainbows of bottles. And if the new generation gets enthusiastic about an idea, rest assured it will go a long way. Here are Mr. Syed’s thoughts on #WasteFreeRamadan. TheLinkCanada: Do you think your initiative has met with reasonable success? 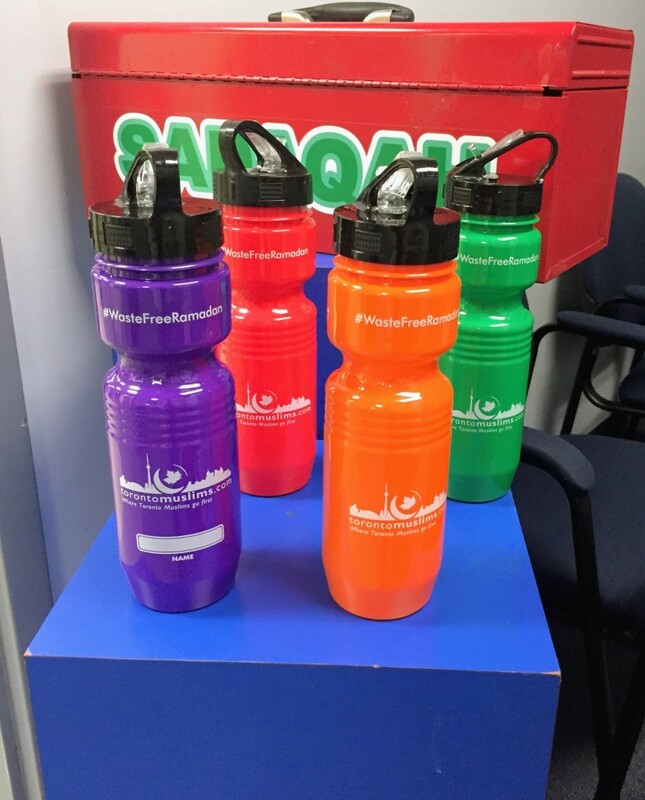 We have noticed the colourful re-usable bottles every where in masjids so it seems it has. But I want your opinion on this. Tariq Syed: To be very honest, the response to #WasteFreeRamadan has surprised us all. I think there’s this impression that Muslim communities do not care about the environment, or that they may not take positive steps in that direction. The success of this campaign has proven this wrong in so many ways. We started out with 5,000 bottles, and distributed them. Because of popular demand, we ordered another 5,000 to accommodate requests from Mosques and Islamic centres. I’d define success as whether the objective was achieved, and in this case, it was! My mission was to address the concern of cleaner mosques and increased awareness about pollution and saving resources. We’ve only heard positive feedback from Masjids, as most of them were seeking solutions to stop the use of disposable plastic bottles. I’m really glad the campaign presented an alternative to the piles of plastic bottles. TheLinkCanada: Do you think people are contributing enough resources wise as well? I checked out your Launch good page for funding. 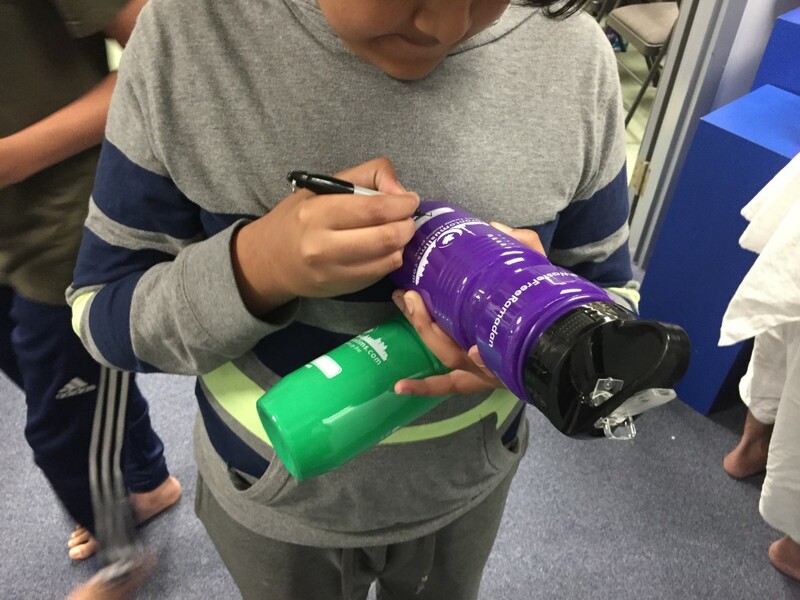 In your opinion do people need to participate in funding just as enthusiastically as they have in embracing the concept of using reusable bottles? Tariq Syed: That’s a great question. We’re so grateful for our LaunchGood donors and supporters. Most donations came from individuals, with a good handful from Islamic centres. To be honest, #WasteFreeRamadan was a whirlwind of a campaign – everything happened so fast. Our small team became preoccupied with things like bottle distribution, coordination and addressing small concerns. This took time away from thoroughly marketing the fundraising goal. On the other hand, I personally think education and awareness goes a long way to obtaining monetary support overall. If anything, #WasteFreeRamadan has helped us realize that there is great potential to implement sustainable practices within our community. This campaign is a great example to get the ball rolling on green citizenry. Motivation, encouragement, and most importantly education, can all be contributing factors that encourage people to donate. In the case of funding, we’re leading by example. We understand the bottles are fun to use with friends and family. However, #WasteFreeRamadan was the first step in informing others of the economic process behind implementing the use of reusable bottles. In this regard, we’re gaining valuable experience and insight in this field. For next year’s even bigger environmental movement, we’ll apply these things which we’ve learned along the way. TheLinkCanada: Your efforts are highly commendable. But besides using a lot of disposable bottles another example of waste in Ramadan is consuming too much eatables, and throwing away a lot of unused food in the trash. Do you have any ideas on how to curb this wasteful habit and do you plan to do something about this as well? Tariq Syed: Through our online engagement for #WasteFreeRamadan, this is an important topic we’ve touched upon. Using reusable drinking containers eliminates the need for disposable plastic bottles, but it also saves a considerable amount of water from being wasted each day. By saving water and avoiding plastic trash during Ramadan, people have felt inspired to see what else could be cut-down. For example, ways where they can avoid wastage during Ramadan, use less resources and practice more recycling. For years, I tried to think of a method that could make environmentally-friendly habits sustainable, long-term, and easy for others to practice. At home, my family and I try our best to practice the 4 R’s: Reduce, Reuse, Recycle and Repair. In case people are wondering about “repairing”, it means fixing something to make its usage better and more efficient (as opposed to throwing it away). 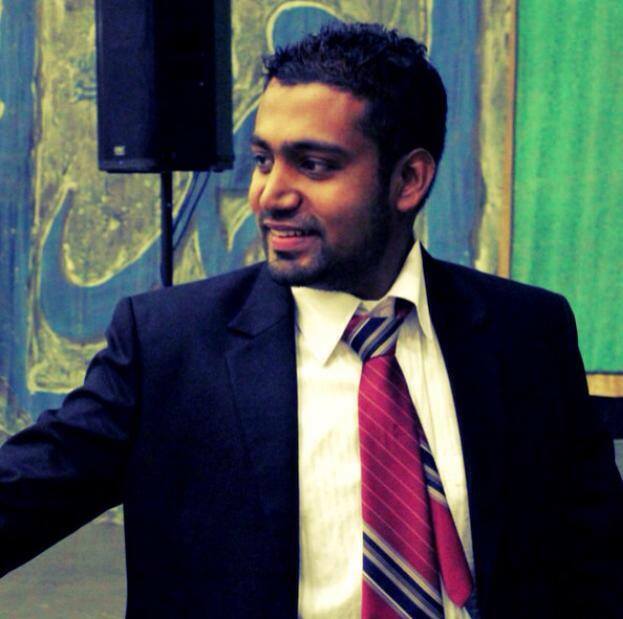 TheLinkCanada: Do you plan to go beyond the GTA and export your campaign to Muslim communities all over Canada? Tariq Syed: Absolutely! We’ve already had inquiries from across Canada, including a few from the United States. Next year’s environmental campaign will try to reach these communities, engaging all Muslim Canadians to adopt greener and more eco-conscious living. 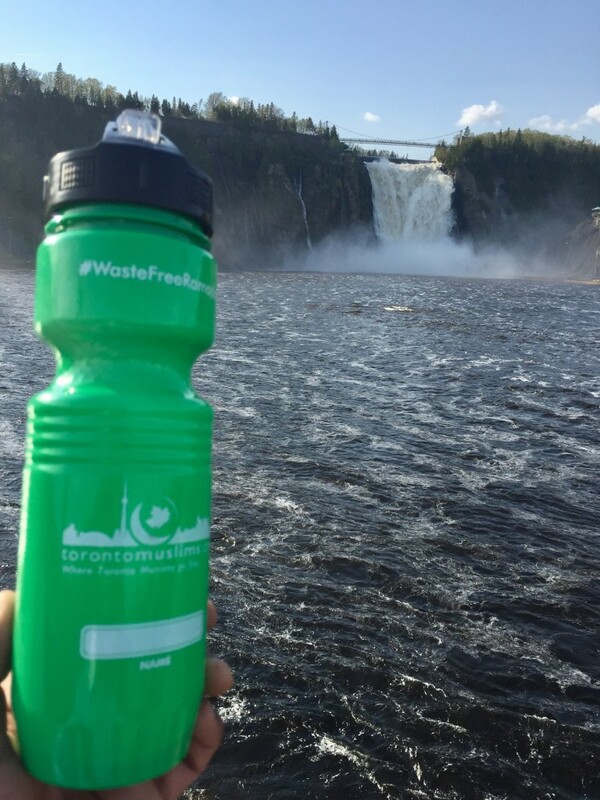 TheLinkCanada: Any ideas and recommendations about how we can be waste free throughout the year and not just in Ramadan? Tariq Syed: One thing I’ve remarked about living green is how easy and enjoyable it can be. For example, don’t hesitate to start off with reusing things at home, instead of going out and buying what you may already have. I love gardening in my own backyard and grow basic plants like herbs and vegetables. Recycling also reduces trash size significantly. As per Islamic guidelines, eating less and living humbly (like buying what you need as opposed to what you want) lessens our impact on landfills and ocean trash. Getting your family on board and talking about it with friends and colleagues helps get different generations involved too. Ramadan 2017 was just the starting point for this successful campaign. The next big step is “Waste Free Muslims”. 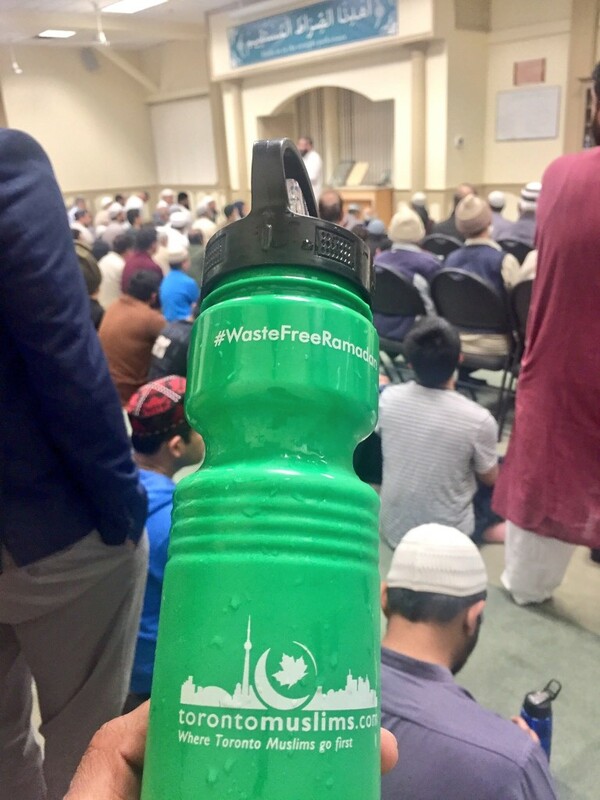 In addition to stopping disposable bottles at Muslim places of worship, we hope people will also participate in “Waste Free Muslims”: a movement aiming to make our mark in the global fight against carbon emissions and greenhouse gasses. Protecting the planet from environmental degradation is an on-going global struggle that we should all take part in. TheLinkCanada: Would you like to add anything else about this initiative and the results you have seen? Tariq Syed: The outpouring of support and solidarity from people of all ages and backgrounds has been heartwarming. It’s so encouraging to see how folks are telling their friends and families about #WasteFreeRamadan. This campaign is also recognized by non-Muslims on social media. 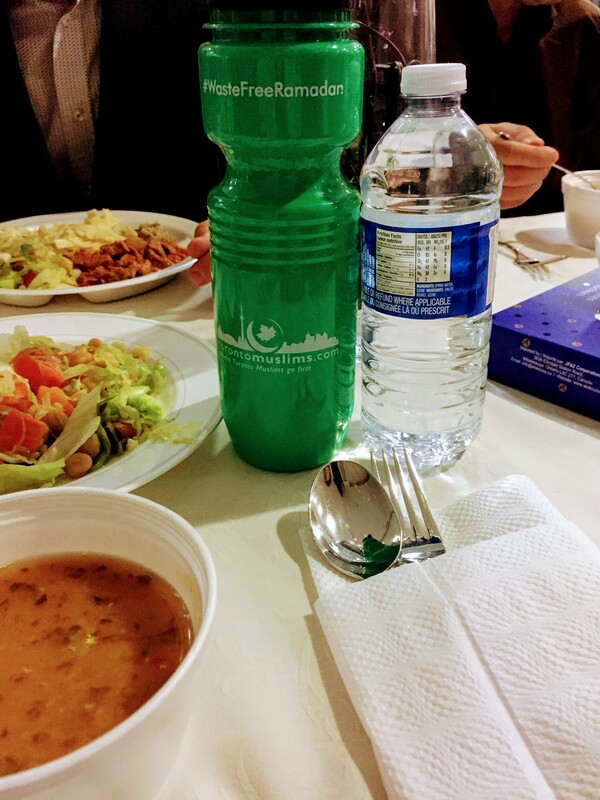 I recently talked about #WasteFreeRamadan at Toronto’s first-of-its-kind City-Hall Iftar. Our bottles were given to all attendees, and the initiative was applauded by Councillors and members of other faiths. That moment made me feel all the hard work was worthwhile! Lastly, I always encourage all Muslims to inquire within their local masjids and Islamic centres about curbing unnecessary wastefulness and pollution. People can also help cover costs of the bottles through WasteFreeRamadan.com. Please feel free to use the hashtag, telling us your experience going green this Ramadan. This campaign is more of a mission. We all can be a part of it, Muslim or otherwise. By reducing all kinds of wastage in our homes, offices, educational and religious institutions and everywhere else, we can work towards keeping Canada clean, green and eco-friendly. Perhaps the best gift we can give our country on it’s 150th Birthday! Previous story Nazima Qureshi: Nutrition through Inspiration.